A diagnosis of cancer can feel overwhelming. Understanding terms like stage, grade, and surgical margins requires you to learn a new language overnight. But it is time well spent. To make the most informed decisions about treatment it is important to understand your diagnosis. In order to help interpret your biopsy report, scans and cancer type, I am pleased to post this informative article by naturopathic oncologist Dr. Katherine Neubauer of Survive and Thrive Cancer Care, a national integrative oncology consulting practice. A new breast cancer diagnosis brings a lot of information. The good news is that the prognosis is good when breast cancer is caught early. For advanced breast cancers, there are still many good treatment options. It’s also helpful to develop an overall approach before beginning treatment. For example, some types of surgery need subsequent radiation, while others don’t. And, the timing of breast reconstruction is affected by whether you need radiation. Oncotype Dx Score some tumors clearly benefit from chemotherapy. For others, the decision is less clear. This test can be done on a sample of your tumor tissue from a lumpectomy or mastectomy. The results can tell you how beneficial chemotherapy would be. This simple loaf is a meal in itself. The grain and vegetables disappear and even picky children love it. The recipe is very versatile. 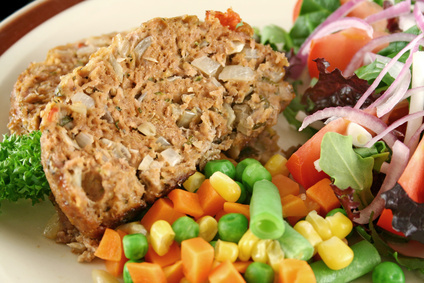 For a traditional meatloaf try ground beef with carrots, celery, onion and rosemary. With ground turkey try sage and thyme. Many of the cruciferous vegetables like broccoli or cabbage work well in this recipe. – 1 ½ teaspoons of salt. Grind the millet in to coarse flour in a coffee grinder or food processor. Place all of the vegetables and the herbs in a food processor and chop them to a fine mince, or mince them by hand. 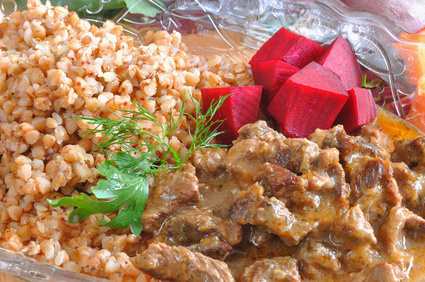 In a large bowl combine the minced vegetables, millet flour, salt, herbs and meat and mix them well. Form the mixture into a loaf and place it on a cookie sheet. You may top it with catsup or bacon slices (before baking)if desired. Bake the loaf at 400 degrees F. for ~ 45 minutes or until the internal temperature reaches 180 degrees F. Cool the meatloaf for 10 minutes before slicing it. Serve it with roasted brussel sprouts and a green salad. This loaf freezes well after slicing so try making a double batch. This is a delicious preparation of brussel sprouts when they are in season. Roasting them yields crispy outer leaves with a soft, sweet center. It is also a great way to prepare broccoli year round. – 2 tablespoons of olive or coconut oil. 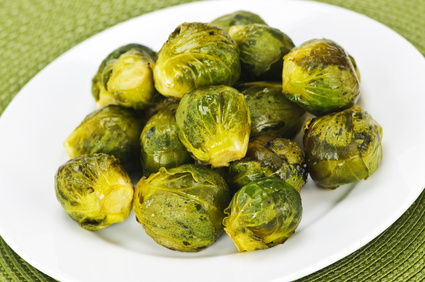 Preheat the oven to 400 degrees F. Prepare the brussel sprouts by cutting off the rough base and removing any tough outer leaves. Toss them in a bowl with the oil and salt. Spread them on a cookie sheet that has been lined with parchment paper and bake them for ~30 minutes, stirring occasionally. The vegetables are ready when they are easily speared with a fork. Serve them hot or at room temperature. Sugar is essential for life, but chronically elevated blood sugar leads to a host of health problems (see the recent post “What About Blood Sugar” https://solutionsnaturopathiccare.com/2012/03/06/what-about-blood-sugar/). Luckily, diet has a huge impact on blood sugar. What we eat and how we eat it can make the difference between health and disease. There are three major ways to lower blood sugar with diet – reduce the consumption of simple sugars, reduce the consumption of complex carbohydrates and slow the digestion of complex carbohydrates. To understand how the foods we eat affect blood sugar it is important to understand the difference between simple sugars and complex carbohydrates. Most of the sugar in our blood is a specific type of sugar called glucose*. In its simple form (a single molecule) glucose is found in fruits and vegetables and in concentrated sweeteners like sugar or honey. Complex carbohydrates (aka starches) are long chains of glucose molecules. They are found in a variety of foods including rice, pasta, and potatoes. When complex carbohydrates are digested the chains are broken and glucose is released. 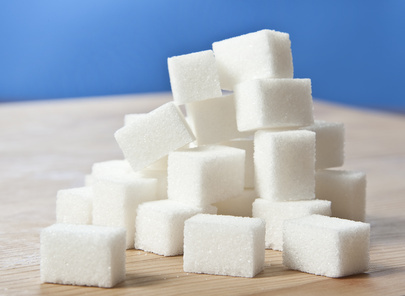 Simple sugars are absorbed quickly; it takes very little time for them to enter the blood stream and raise blood sugar. Because complex carbohydrates need to be broken down before they can be absorbed, they enter the blood stream more slowly. Certain foods slow the digestion of complex carbohydrates when they are eaten at the same time. These are foods rich in fats, proteins and fiber. There are many benefits to delaying carbohydrate digestion. The energy released from the food is slow and steady. Because food stays in the stomach longer hunger is abated and there are no sharp rises in insulin leading to increased fat production . – A soda (or fruit juice) has lots of concentrated simple sugars. These will be absorbed quickly and cause the blood sugar to rise quickly. 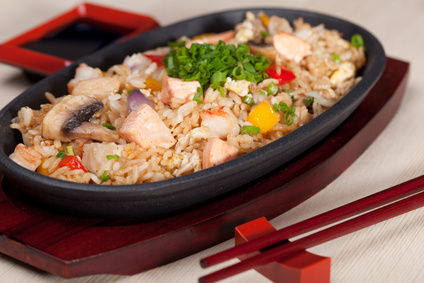 – A bowl of brown rice will be digested fairly quickly and will cause blood sugar to rise ~ 1-2 hours after eating. – A bowl of brown rice that is eaten with a piece of chicken or fish and some olive oil will be digested slowly over ~ 3-4 hours. The sugar from the rice will be absorbed over a long period of time and there will not be a sharp rise in blood sugar. Eating in a balanced way can lead to sustained energy and facilitate weight loss. Most importantly, keeping blood sugar level and low can help to prevent numerous health problems. Don’t miss the recipes in next weeks post! *There are two other types of simple sugars – fructose and galactose. These are metabolized somewhat differently than glucose. In order to keep things simple and clear we will not be discussing them in today’s post. This simple stew is satisfying and delicious. It is best with an heirloom variety of pork like Berkshire. Pork has a reputation for being unhealthy. Indeed factory farmed pork is full of unsavory chemicals. Organic, vegetable-fed pork from small family farms is a much better choice. Pigs serve and important function on small farms, eating the scraps that people don’t want. Because pigs are not ruminant (grazing) animals they don’t produce very high levels of greenhouse gasses. Raised in this way, pork is lower in saturated fats and many toxins than either beef or lamb. Of course, it is always a good idea to trim the fat off of meat before cooking. – (Optional) 1 cup of additional chopped vegetables such as celery, carrots, turnips or green beans . Dice the pork into bite sized cubes and toss the pieces with the salt, coating them evenly. Set them aside. Heat the olive oil in a deep, heavy bottomed pot. Add the onions and sauté them over medium heat until they are golden brown. Add the garlic and rosemary and continue to cook the mixture until the garlic just begins to brown. Add the meat cubes and stir them into the onion-garlic mixture. Continue to cook the meat uncovered for ~ 5 minutes stirring frequently. Add the water and kale. Bring the mixture to a boil, stir it well and then reduce it to a simmer. Cover the pot and allow the stew to cook over low heat for ~ 1 hour, stirring occasionally. Taste the stew and add more salt if desired. Then add the pumpkin and additional vegetables. Bring the mixture back to a boil and then reduce the heat to a simmer again. Cover the pot and cook the stew for an additional 30 minutes. Test the meat and make sure it is tender; if not simmer it for an additional 30 minutes. Salt to taste and serve. This stew may be served alone or over a whole grain like brown rice, buckwheat, millet, or quinoa. Variation # 2 – Replace the rosemary with 1 teaspoon each of ground cumin and coriander and ½ teaspoon cinnamon. This tangy side dish is an excellent liver and gall bladder tonic. The brine is lite. If you want a stronger pickle just increase the ratio of vinegar to water and add a bit more salt. Place the beets in a pot with water to cover them. Bring the water to a boil and then simmer them for ~ 30 minutes, until they are tender when pierced with a fork. 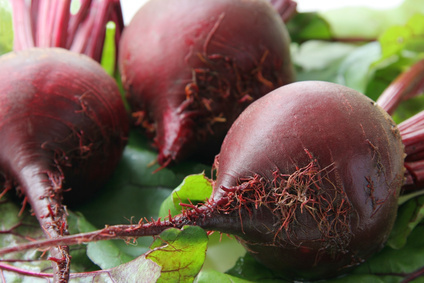 Drain the water and allow the beets to cool to room temperature. Peel the beets and dice them (note: Beets should slip out of their skins easily after they are cooked.) Place them in glass container with a tight fitting lid. Mix the apple cider vinegar, water and salt together. Pour the brine over the beets and stir it well. Refrigerate the mixture for 2 or more days shaking it occasionally. Remove the beets from the brine before serving. Blood sugar (glucose) is the body’s main source of energy. Muscles need it for movement. The heart needs it to pump blood. The brain needs in order to think and process information. But when blood glucose levels go to high a host of health problems can arise. The trouble with too much sugar in the blood is that is tends to get stuck to other things. This process is called glycation and its products are called AGEs (advanced glycation end products). AGEs have been implicated in a variety of diseases. They promote inflammation and oxidation. It is easy to measure the level of glycation that is happening in the body by testing a specific AGE, glycosylated hemoglobin or HA1C. Another problem with elevated blood glucose is that it causes an elevation of insulin. Insulin is the one hormone in the body that lowers blood sugar. It does this by increasing the uptake of glucose into cells. For example if insulin binds to a muscle cell it will cause that cell to absorb more glucose from the blood. This is insulin’s primary role. However insulin has secondary roles of increasing fat stores in the body and increasing the production of cholesterol by the liver. 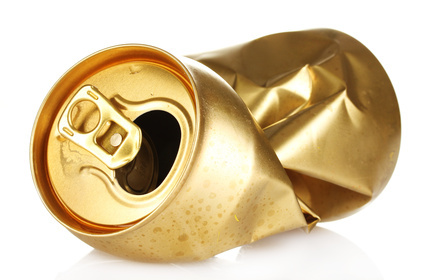 This can lead to obesity and elevated cholesterol. In order to prevent many chronic diseases it is important to control blood sugar and try to keep it the ideal range. In this range there is plenty of sugar available to run all of the body’s processes. But it is not high enough to cause excess glycation or elevated insulin. Strategies for balancing blood sugar through diet, exercise, supplements will be discussed in upcoming blog posts. As always, there will be lots of delicious recipes included! 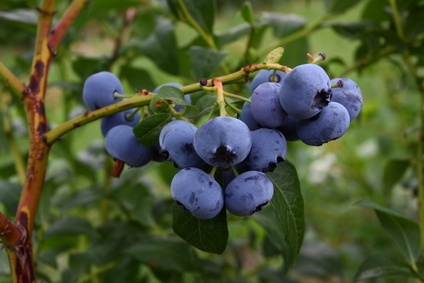 Darkly colored berries are a rich source of antioxidants and anti-inflammatory compounds. They also contain bioflavinoid components that work with vitamin C to strengthen blood vessels and connective tissue. Frozen berries are almost as healthy as fresh ones, so indulge all year long! These protein rich pancakes use sprouted quinoa as the batter base. They have a wonderful spongy texture and a rich nutty flavor. Rinse the quinoa in a mesh strainer and allow it to drain for ~5 minutes. Place the quinoa, water, salt, oil and vinegar in a blender. Start on a low setting and increase the speed to high, processing it until the mixture is smooth. Pour the batter into a bowl and add the flour and baking soda. Quickly mix the wet and dry ingredients until there are no lumps. Over medium heat melt some butter or coconut oil in heavy bottom skillet (well seasoned cast iron is best). Pour the batter onto the hot skillet using a ladle or measuring cup. Generously decorate the tops of the pancakes with blueberries. As soon as bubbles form on the edges of the pancakes flip them over and cook them on the opposite side for 3-4 minutes. Remove them from the pan and serve immediately. This simple recipe is low in carbohydrates and high in nutrition. Combine all of the ingredients in a blender and process them until the raspberries are pureed. 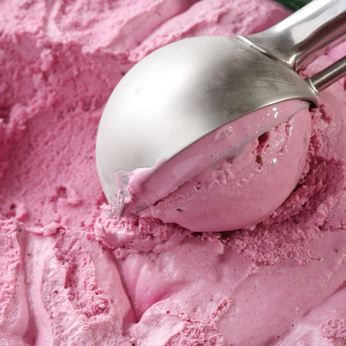 Freeze the mixture in an ice cream maker or Popsicle molds. Enjoy! Heart disease is the leading cause of death in the United States, affecting both men and women. Although some heart disease is caused by genetic factors the vast majority is due to lifestyle and the environment. By taking steps to protect your heart and cardiovascular system, you are making a valuable investment in your long-term health. Below are some general recommendations. 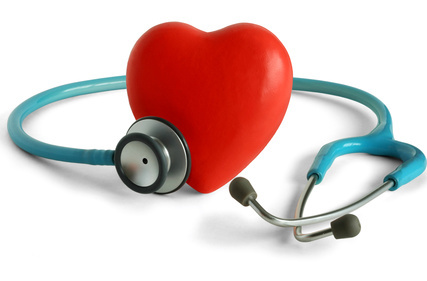 If you have existing heart disease, be sure you consult a qualified health care professional before making any changes. 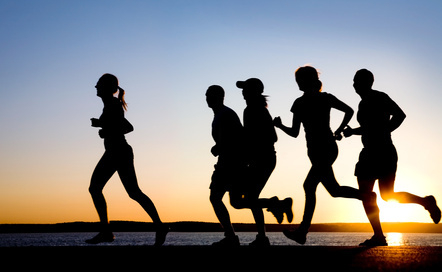 1) Exercise – Exercise improves circulation, reduces stress, helps to control weight and strengthens the heart muscle. It is important to find the appropriate exercise for your current state of health. Pushing yourself to hard, may lead to injury. 2) Strengthen your Blood Vessels – Proper nutrition is the key to strong, elastic blood vessels. To form the muscles and connective tissue that makes up the vessel walls you need the proper building blocks. 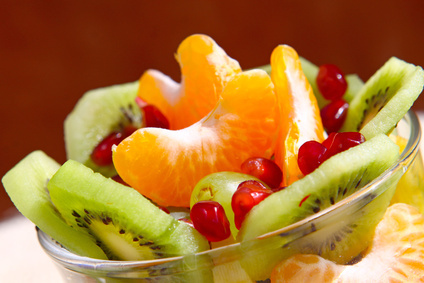 A diet rich in high quality protein, bioflavinoids, vitamin C, and other nutrients is essential for heart health. 3) Reduce Inflammation – Most damage to the heart muscle and the blood vessels is a result of inflammation and oxidative damage. Environmental factors, poor diet and genetics all play a role in promoting inflammation. By making appropriate changes and using natural anti-inflammatories, damage can be prevented before it occurs. 4) Balance your Blood Sugar – Diabetes is one of the highest risk factors for heart disease. This is because elevated blood sugar (even in the pre-diabetic range) leads to abnormal “Glycosylated” proteins or “AGEs”. These molecules cause much of the vascular damage associated with diabetes. In addition, the elevated insulin levels associated with high sugar consumption signal the liver to produce more fat and cholesterol. For more information, watch for upcoming blog posts on blood sugar balance. 5) Nourish your Lungs – The heart pumps all of our blood through the lungs to pick up the oxygen needed by the rest of the body. If there is any illness in the lungs, the heart has to work harder. Chronic lung disease can easily lead to heart disease. It is important to get appropriate treatment for lung disease to prevent these complications.